Here at b**p we love a good Netflix series (or two, in this case), and so when we finally sat down to watch Stranger Things, we were totally obsessed. Set in the ’80s in the fictional American town of Hawkins, Stranger Things follows the storyline of Will Byers’ mysterious disappearance. The young boy completely vanishes and efforts to find him go completely cold until his friends from school, Mike, Lucas and Dustin, realise that there’s something mysterious going on. Will’s mother Joyce, played by Winona Ryder, also realises something’s not right when the electricity in her house starts playing up. Everyone thinks she’s crazy until eventually Chief Hopper (David Harbour) realises there’s a conspiracy going on when the body claimed to be Will’s in the morgue is of another child. Everyone clubs together to try to find Will, and instead they find ‘The Upside Down’ – a kind of underworld in which evil things and evil people exist. Along the way, they meet Eleven, a girl who has escaped and who has special powers that were abused by scientists. 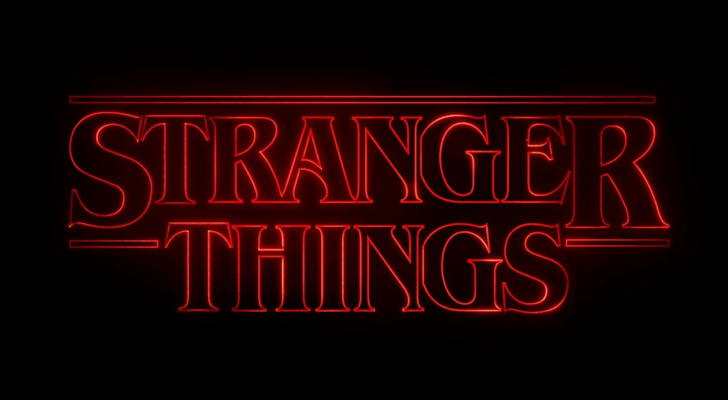 It has to be said that Stranger Things is a simply fascinating TV show to watch. The special effects of The Upside Down are amazing, and are certainly able to transport you into that world to the point where it is actually scary at times. This capability reminds one of Doctor Who, especially in its sci-fi nature, and has certainly peaked the interest of just as many – if not more – viewers around the world. And, when it comes to child actors, they’re usually hit-and-miss. Not with Stranger Things. Each and every child actor, especially Millie Bobby Brown who plays Eleven, is fantastic and has true talent. Each one of them surely has to expect a bright career after the Stranger Things world ends, perhaps after season three, which drops on Netflix on 4th July this year. This series is the pure genius of the Duffer Brothers, who wrote, produced and directed the whole thing, and seriously deserves so many awards it’s unreal. We loved it.